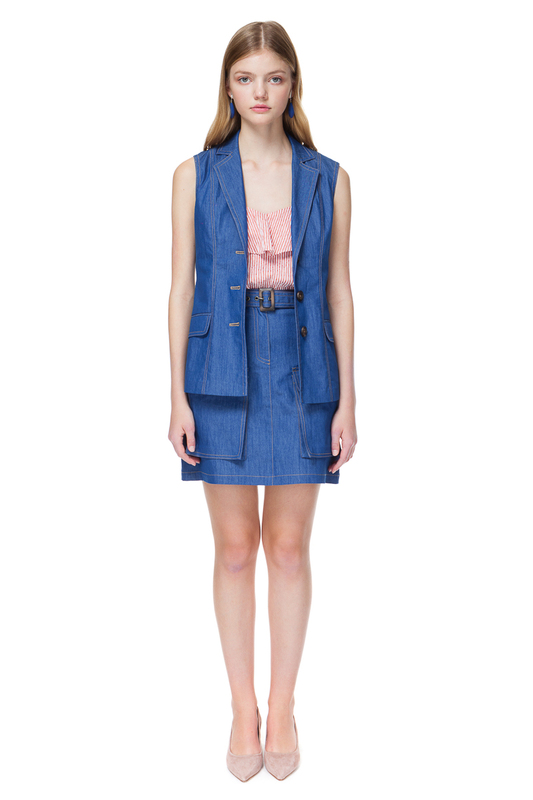 Denim vest with topstitched details. 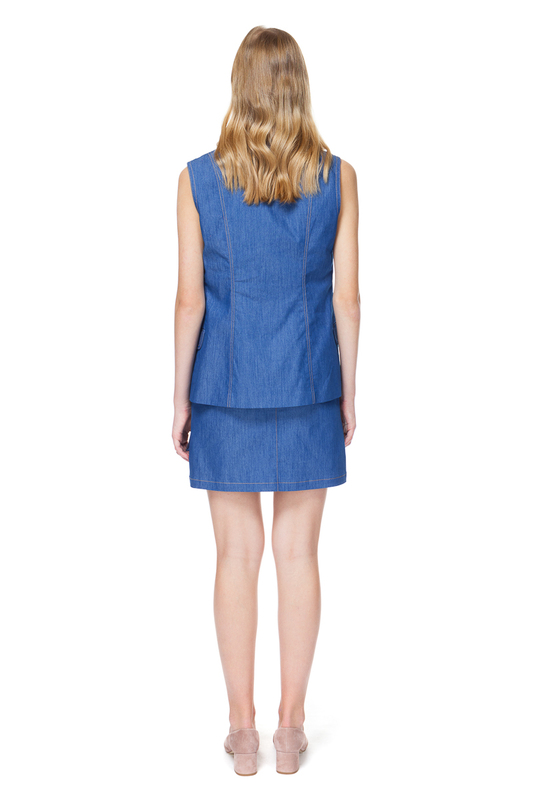 Cut from stretch-denim, this vest is tailored in a sharp silhouette and features a row of sandy beige buttons to emphasize the details. Pair it with our matching mini skirt and style opened over a simple top or a floaty blouse or a dress.